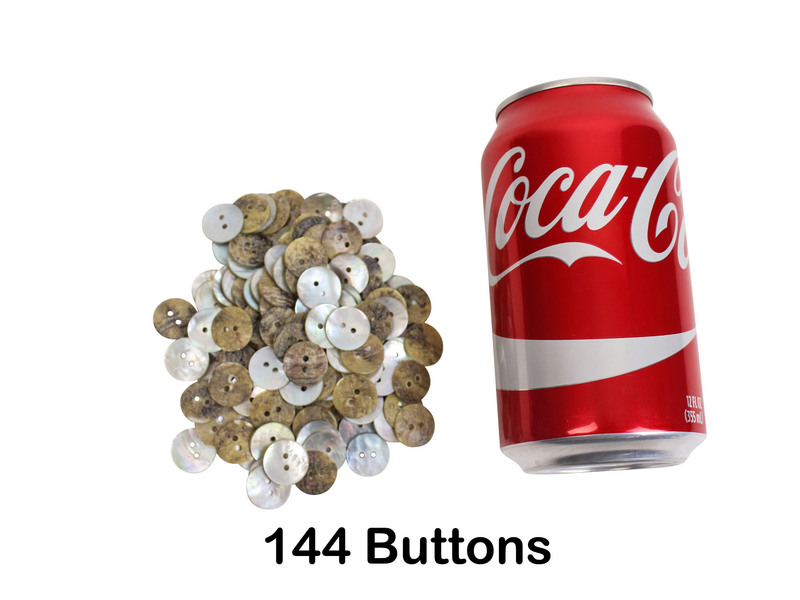 24-line Akoya Shell Buttons: See the back of the buttons with a quarter and 144 buttons with a soda can. These shell buttons are made from saltwater mother of pearl. They have two holes. 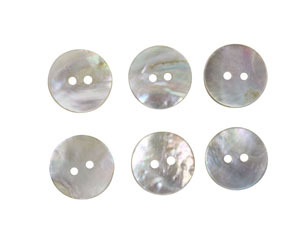 They are sometimes called agoya shell buttons. Genus and species: Pinctada fucata. 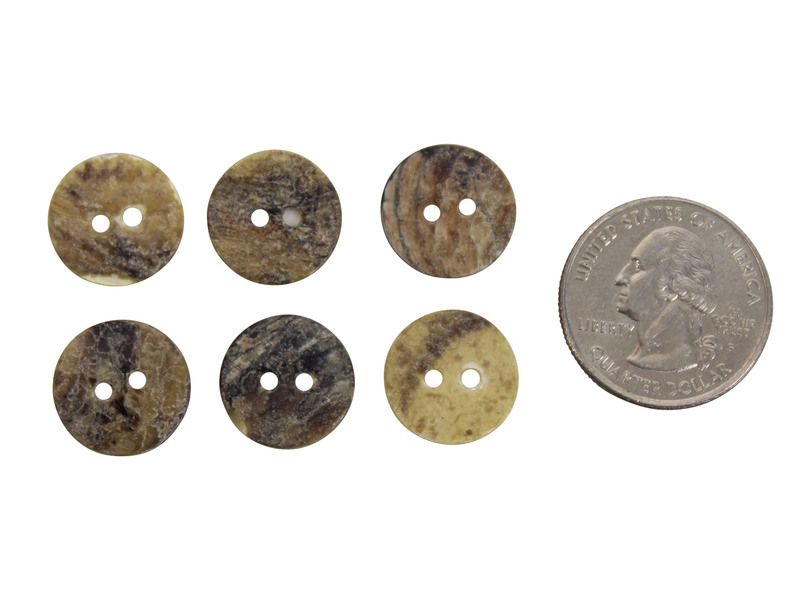 These buttons are made from shells that are a by-product of the pearl industry.